Streamlined Processing. Increased Payment Compliance. Today’s medical consumer has come to expect speed, convenience and transparency in their medical purchasing experience. In this whitepaper you will learn about human and technology-based solutions that healthcare practices can implement to help families deal with their rising healthcare financial responsibility. Interested in receiving the highest percentage of payments? 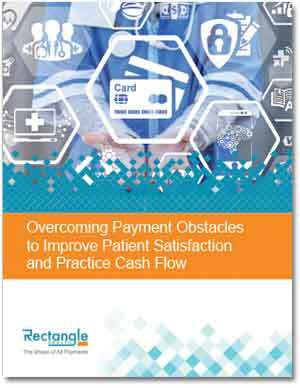 As an elite healthcare provider, you need a credit card processing company that truly cares and provides the tools necessary to help you get paid, reduce liability and improve patient satisfaction. Whether you’re a dentist or an insurance company. A trade union or a hospital. Whether you have one location or dozens. If you have patients or members, we can streamline your payment processing, increase payment compliance, and improve satisfaction. We live in a digital age. It’s time the healthcare industry joined us. This Connecticut health network consolidated into one integrated system and experienced an increase in patient payments collected.